The ASPCA is helping AFH ... are you? AFH is constantly purchasing supplies. If you'd like to help, you can shop AFH's Wish List on Amazon! Support AFH whenever you shop at any of more than 1,200 online stores! Because AFH is a 100% volunteer-run organization, we can not function without your help. In particular, we need foster homes, transporters for adoptions and vet visits, handlers at adoption days, home checkers, and helpers at fundraising events. If you would like to help, send an email to volunteer@aforeverhome.org. Consider becoming an AFH foster home provider! Check out the Top 10 Reasons to Foster! Please donate generously so that AFH can help more dogs in need. 100% of your tax-deductible donations go directly to the care of our animals. Donations can be made via JustGive, at any of our adoption events, or can be mailed to: AFH, P.O. Box 222801, Chantilly, VA 20153-2801. Questions can be sent to maribel@aforeverhome.org. Donate your old vehicle and help create a new future for dogs and pups in need by helping them find their forever home. Donating your car, truck, van, SUV, boat, motorcycle, or airplane has never been easier using Charity Dispatch. Just be sure to designate AFH as the recipient of your donation. You can now raise money for homeless animals every time you walk your dog. 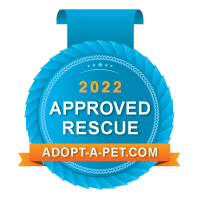 Simply go to http://www.wooftrax.com/ , download the app, select A Forever Home Rescue Foundation as your charity of choice, and start the app every time you walk your dog. Brownie came to AFH in June, 2003. 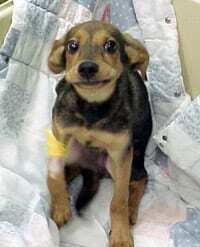 She was our first major medical case, requiring around-the-clock care and many trips to the vet. Brownie eventually made a full recovery and was adopted into her Forever Home. We established Brownie’s fund to enable us to be prepared for the inevitable … the next “Brownie” who comes through our door. If you would like to help build our Brownie Fund, please use our PayPal or JustGive links and enter “Brownie’s Fund” in the comment section. Your generous donation will be directed to our major medical fund – in honor of Brownie! Shop at Amazon through our website. Simply go to the front of our website, www.aforeverhome.org, scroll down to Ways to Support AFH (on the right), and under Shop Related Products, enter what you are shopping for in the search box and press Go. You have just generated a donation for AFH at no cost to you! AmazonSmile is a simple and automatic way for you to support your favorite charitable organization every time you shop, at no cost to you. Once on Amazon, enter smile.amazon.com in the address bar and start shopping! If you are not already enrolled in Amazon Smile, you will be prompted to sign up. Amazon Wish List – There are many things that the rescue needs – and you can help out by purchasing them for us. Donate an item through our Amazon wish list. Go to to-afh.org/WishList and select and pay for any item. It will automatically be shipped to us! Donate while searching the internet. You do it – probably at least a couple times every day. You visit Google, Bing, or Yahoo and search for something on the Internet. Do you realize that you can benefit AFH simply by using GoodSearch as your search engine? Visit GoodSearch.com and sign up now – it takes only a few seconds, and the clicks really will add up! Every time you shop at any of the 1,200+ online stores in the iGive network, a portion of the money you spend benefits A Forever Home Rescue Foundation. It’s a free service, and you’ll never pay more when you reach a store through iGive. In fact, smart shoppers will enjoy iGive’s repository of coupons, free shipping deals, and sales. To get started, just create your free iGive account. KARMAKARMA offers you the chance to make an impact through micro-donations. Go to www.karmakarma.com and register. Once you log in, click on Get Karmapoints to see how to get points and/or click on Make an Impact and then Animals to navigate to A Forever Home Rescue Foundation’s page to make a donation. Marriott has teamed with Benevity to provide you with a simple way to convert your Marriott Rewards points into a donation to AFH! Simply visit Marriott Rewards’ AFH donation page and follow the simple process. You’ll be making some dogs very happy with your generosity! BarkBox is a great service for your dog (or to be given as a gift to your dog-loving friends)! When you sign up for BarkBox, using this link (www.BarkBox.com/AFHRBBX1), you will receive 50% off of your first box with a purchase of a 6 to 12 month subscription plan. (On a 6- month plan that is $12.50 off of your first box and $10.50 off.) AFH will also receive $25 on each new plan purchase. Also, with your signup, you (or your lucky friend) will receive a monthly BarkBoxes that contain all-natural treats and other of the coolest pup products in each box — things you can’t find at the typical big-box pet store. 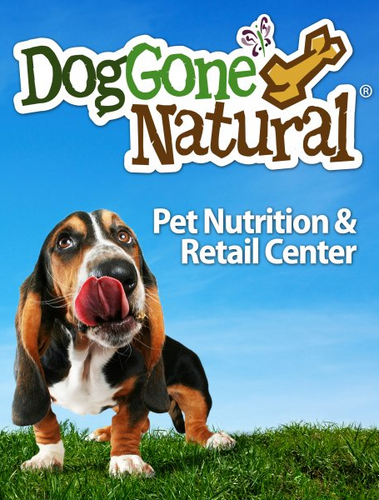 We have our treat and toy scouts scouring the country every month for the best toys and treats that will make your dog happy and healthy. A bequest to A Forever Home Rescue Foundation, Inc. through your Will or Trust helps ensure that we can continue to carry out our mission of helping homeless and abused animals receive the care they need. By remembering A Forever Home Rescue Foundation, Inc. in your estate planning, you can leave a legacy that will benefit future generations of animals and help provide for our future work. The federal government encourages these gifts or bequests, by allowing an unlimited estate tax charitable deduction. There are various methods for making such a bequest. If you already have a Will, you can use the suggested wording to write a codicil (an addendum) that names A Forever Home Rescue Foundation, Inc. a beneficiary of your estate. Regardless of how you designate your bequest, know that we will treasure the gift and ensure that it is used for the benefit of the animals in our care. You can select AFH to be the beneficiary of a percentage of your eBay sales! Just select A Forever Home Rescue Foundation when you are creating your listing, and indicate what percentage of the sale gets donated to us. Shop through to-afh.org/GivingAssistant and donate all or part of your cash back to AFH. If you or someone you know is looking to buy or sell a home, you can refer them to us by emailingHomes@aforeverhome.net. For every home referral successfully closed through this program.